A powerful collaboration between our friends at Just Telland Project Unbreakable.Two incredibly important, empowering movements collide, with amazing results. Fantastic work by Grace, Vivian & Hannah. 1) Hannah’s poster: I told. Vivian’s poster: I didn’t know I could tell. Vivian was sexually abused as a child, but didn’t realize she had the right or ability to tell, and she actually blanked it out so she didnt even remember the abuse. It was 10 years before she remembered and disclosed that she had been molested repeatedly over 2 or 3 years. She suffered a lot during those years, without knowing what made her act out. Finally when she was 25, it all came back to her and her healing journey could begin. Vivian became a social worker who worked with kids who were sexually abused for many years. She also teaches new social workers to work with sexual abuse issues. She had her daughter, Hannah. Hannah was sexually abused at age eleven. 2) Because of the differences, we started JustTell. Inspired by her daughter’s strength and by how Hannah was able to let go of any sense of responsibility or blame for what happened to her, Vivian had the idea for JustTell. When she saw the difference between how she suffered over those ten years before she remembered and disclosed her abuse history, and how Hannah was able to let go of what happened to her once she let go of the burden of and told her mom, Vivian realized other kids needed to know that if they have been sexually abused, they need to choose an adult they trust and …just tell. With the advice of many other professionals and teen focus groups online and in Hannah’s school, they started JustTell in 2007. From the website JustTell.org: The mission of Just Tell is to reach out to youth aged 8 to 17 who are being sexually abused in order to convey, in age-appropriate language, that: they are not alone, they are not to blame for the abuse and should feel no guilt or shame, and that they need to choose a trustworthy adult in their life and tell them about the sexual abuse. The secondary mission of JustTell is to educate and empower all youth around the issue of childhood sexual abuse. 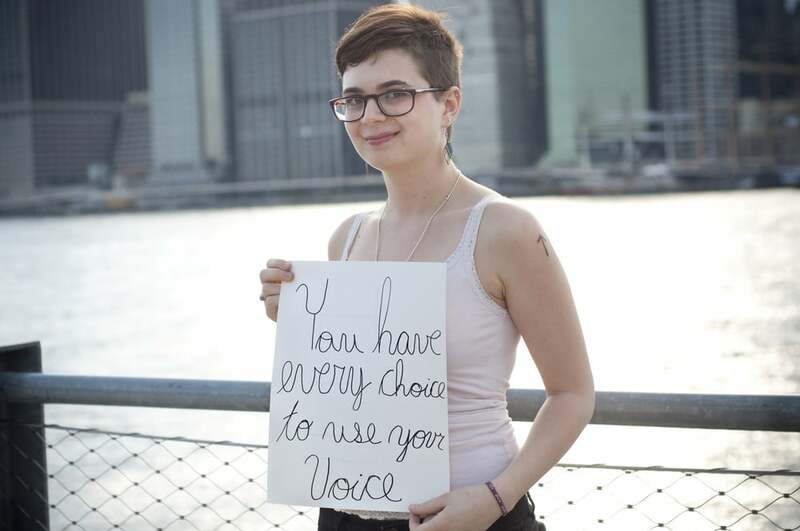 3) You have every choice to use your voice. Hannah, shortly after her abuse, wrote a poem about her journey, which featured this line.